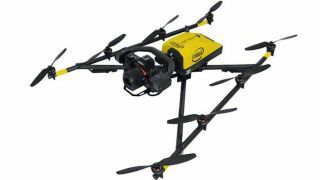 Adding to its offering of unmanned aerial vehicles (UAV), Stampede has been appointed to serve as an authorized direct distributor of the Intel Falcon 8+ system. Stampede kicked off its representation of Intel commercial drones in September with a nationwide webinar on the Intel Falcon 8+ system. The Intel Falcon 8+ drone is an advanced UAV designed for professional use. It is designed for robust performance, including stability in harsh conditions and best-in-class safety. Along with the Intel Cockpit Controller and Intel Powerpack Batteries, the Intel Falcon 8+ drone provides a complete solution for challenging commercial applications. According to Kelly, Stampede is strategically positioned to bring to market a comprehensive and integrated drone solution that combines product with training, ongoing education, and certification and support.